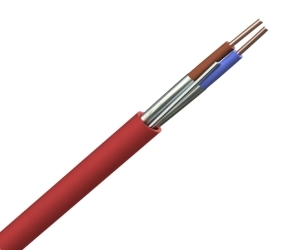 FP200 Gold is a 'standard' fire resistant cable as defined by fire alarm and emergency lighting British Standards and the original alternative to mineral insulated cable. It is a tough, durable and addressable essential systems cable - easy to install and terminate. FP200 Gold has excellent data and signal transmission characteristics which make it ideal for voice alarm, addressable and networked systems.